See the entire article here, and see other excellent blogs by DePaolo. 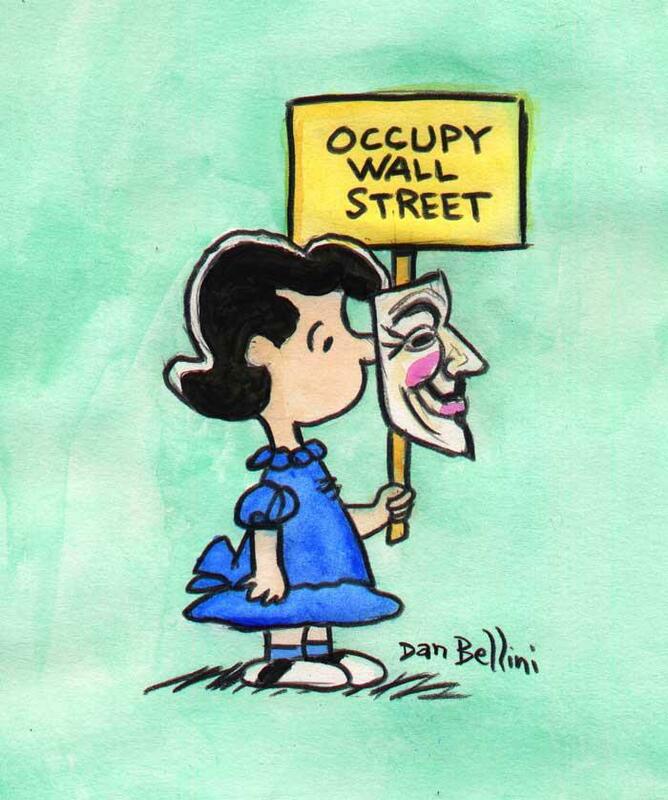 Let’s let David #DePaolo know that his efforts to expose fraud in America’s #WorkComp systems are being noticed. FRIENDS DON’T LET FRIENDS STAY IGNORANT. TELL YOUR FRIENDS AND NEIGHBORS. YOUR GOVERNMENTS ALREADY KNOW. Good job David. 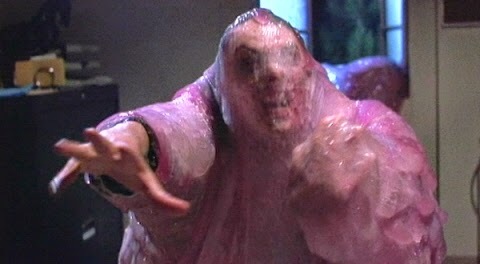 SPREAD THE BLOG ON THE FRAUD LIKE THE BLOB. I was just looking up your blog to comment on yesterday’s, but I’ll start here. 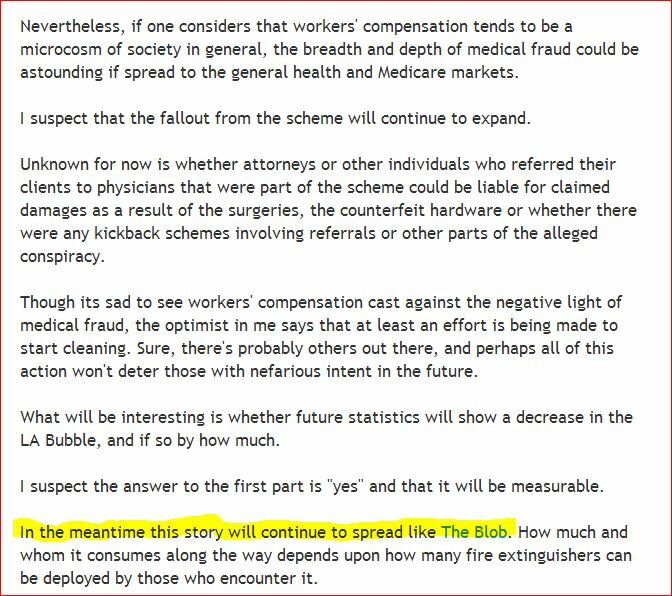 The “breadth and depth of medical fraud” is the essence of WorkComp in California, and the USA. Ask any injured worker; we know beyond any reasonable doubt. Take my case. 2 years, 6 months, 1 day….. failure of my employer to provide medically necessary treatments for a witnessed slip and fall backwards on ice, hitting my head. In light of denied medical care, according the the Chris Bell book that is recommended by you and on the WC site, I am entitled to self-procure medical care. I have done my best and accrued expenses of $25,262.99, not all self-procured, not all unauthorized, and it includes medical miles as well, since 2012. She went on to say I have not received medical care nor reimbursements because there is protest about body parts. Amazing that a slip and fall, with a witnessed trauma to the head and immediate confusion, dazed, speech impairments, along with orthopedic symptoms COULD POSSIBLY EXCLUDE THE BRAIN AS AN ACCEPTED BODY PART when the initial acceptance was for “head contusion”. The trickey Defense tactic to ignore medically necessary recommended treatments adds to the fraud, and, combined with omission of medical evidence, appears to be a matter for the Department of Justice, as there is clearly little-to-no enforcement of anti-fraud rules. Even the Commissioner’s office sent me a note saying to save my time and money….they can’t help me. Curious that the I & A suggests my brain is not an accepted body part for a clearly diagnosed TBI, traumatic brain injury. As to the orthopedic injuries, more than a year later they authorized 6 physical therapy sessions, wherein a torn shoulder rotator cuff was discovered via an authorized MRI…. and guess what, the Defense demanded that the PTP CEASE CALLING THE INJURED SHOULDER AN INDUSTRIAL INJURY by Summer 2013. (Date of initial injury 1/9/12; D’oh) They were also apparently threatened to be removed from the alleged “MPN” network if they continued to request medical treatment and further evaluations for #TBI. One of those doctors, in 2012, mailed me several tubes of a ‘creme’ that sounds suspiciously like one you mentioned in a prior blog. Another mailed a hand-help ultra-sound machine, and I never figured out which brain lobe to apply it to, as it came with no instructions. And when the Corvel UR letter came regarding ‘spinal fusion’ consideration (FOR MY BRAIN INJURY!!!) you might imagine the sheer terror felt. Thanks for what you’re doing. Stay safe. It seems to be a well-funded organized crime racket. Americans Maiming and Killing Injured Americans …for profit. The only known way to deal with psychopaths of that nature is full-on attack to expose, to ultimately expunge. 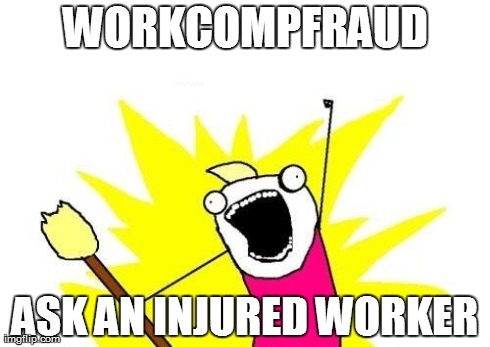 Could your WorkCompCentral site have a bulletin board for Injured Workers desperately in need of competent legal representation? I have talked to just about every SuperLawyer in the State of California with Brain Injury expertise…. they all just shrug and say, “good luck”…and remind me that it’s not personal, nor unusual. 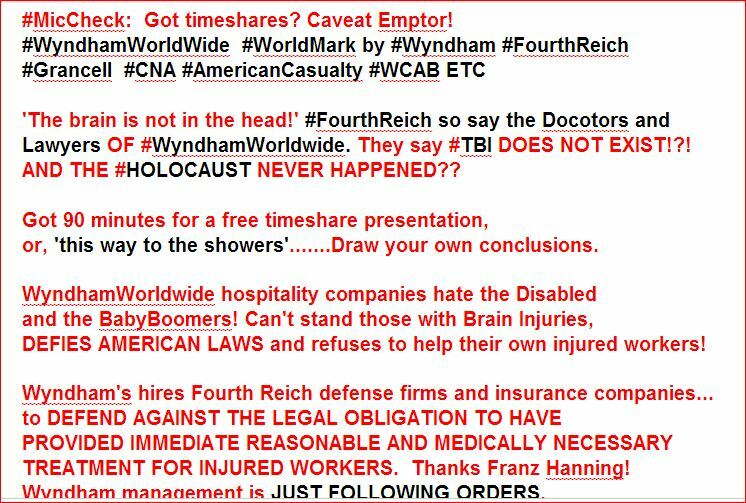 It’s every day terrorism in America’s work comp systems…..nationally. OUR NATIONAL SHAME. JUST ONE OF THEM. If any of your readers are applicant attorneys of the competent persuasions, unafraid of tackling yet another case of “maim to kill” by the World’s Largest Hospitality Industry Employer’s insurance carrier and defense counsel, please encourage them to help me. You know how I can be reached. Till then, I, too continue to fight the good fight, till last gasps. “Ask About Work Comp Gravy Trains” Now.